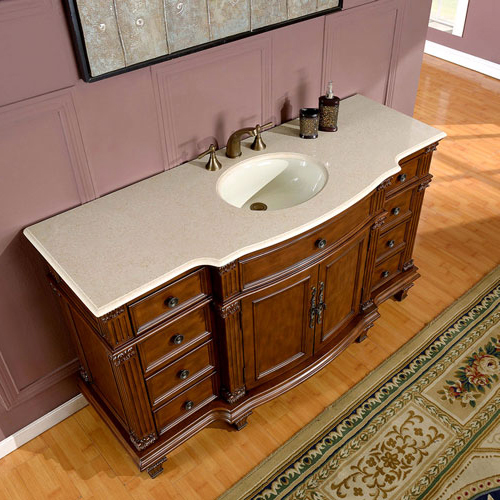 Embellish the style of your bathroom with the 60" Tambora Single Bath Vanity. 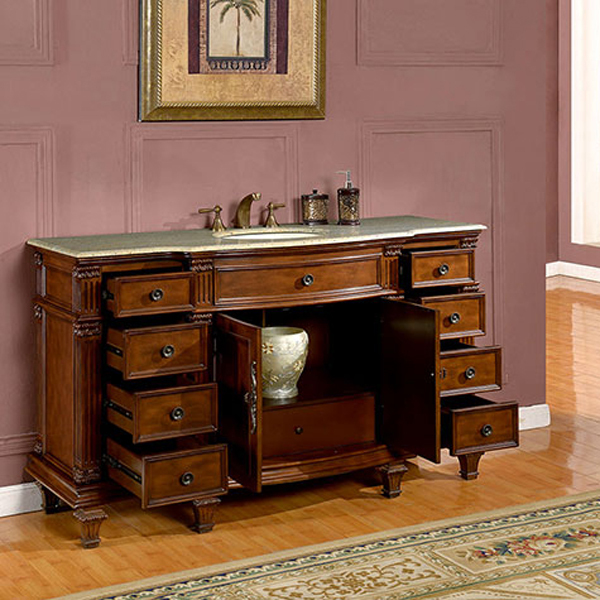 This stunning vanity embodies the looks of antique elements throughout its entire perimeter. The cabinet has a gorgeous Oak finish, which makes a beautiful backdrop for the Antique Brass hardware and intricate wood detailings. 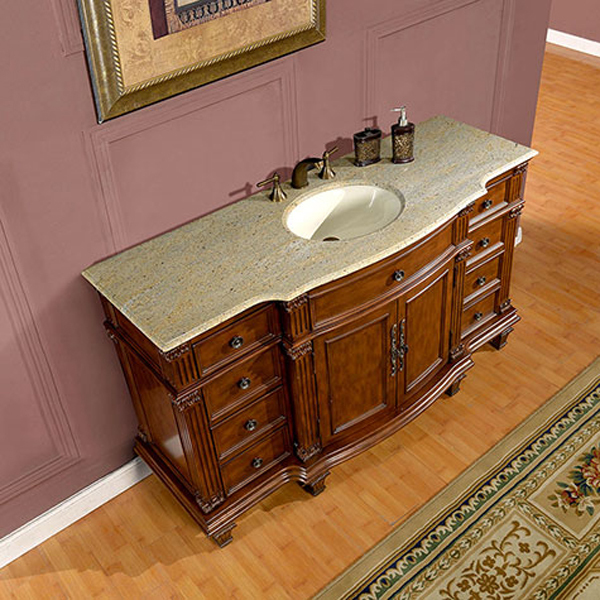 The top is available in Kashmir Gold granite, Travertine, Cream Marfil marble and comes with a white ceramic undermount sink. 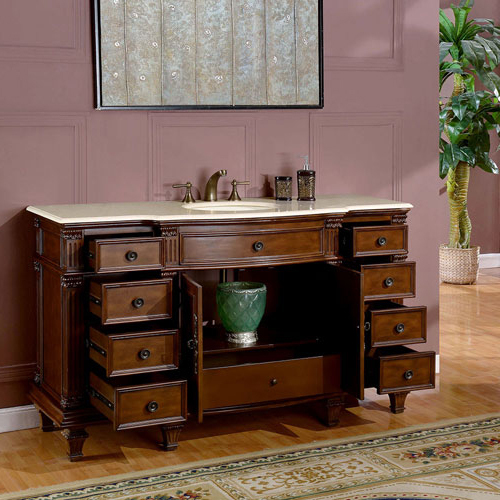 You'll love the spacious amount of storage room in its nine fully-functional drawers and double-door cabinet. Create a look that is designed to dazzle with the Tambora.